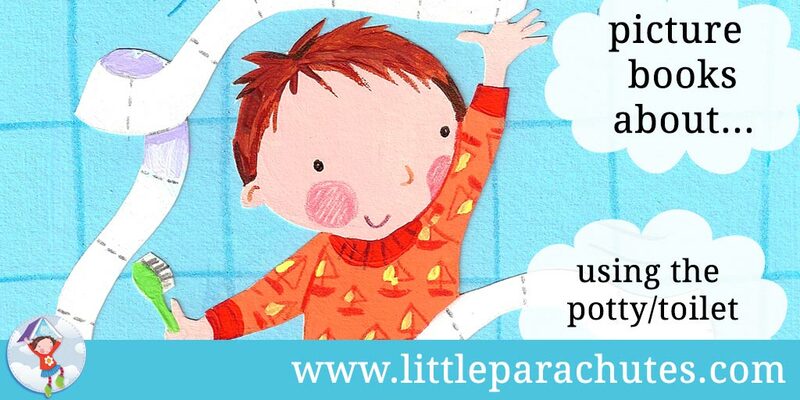 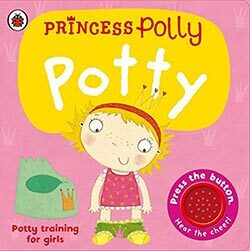 Books which help children through the transition from nappies to using a potty or toilet. 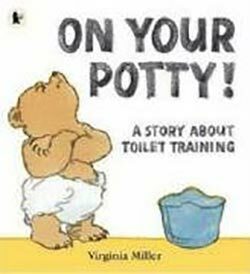 Many books acknowledge that accidents are part of the process and are not something to be ashamed of. 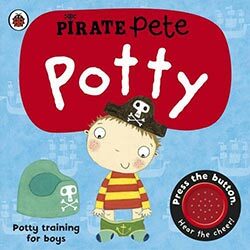 Makes potty training appealing and fun and reassures children that having accidents at this time is normal and nothing to worry about. 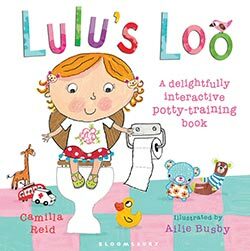 A useful book to use while potty/toilet training as it encourages a child to use a potty. 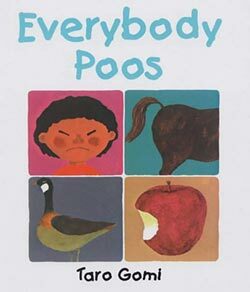 It puts a positive spin on potty usage. 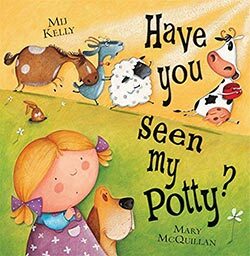 The funny story may help a child to be less anxious about potty training. 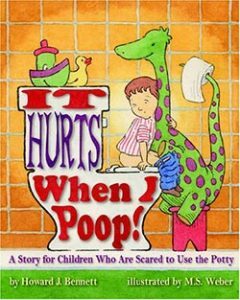 A story for children who are scared to use the potty.